Send sweets to Coimbatore through coimbatoregiftsflowers.com and experience a connection with your family and friends in their celebrations. When you send sweets to Coimbatore they will brighten your loved ones day like never before. Being a leading online coimbatoregiftsflowers.com we do our best services with 100% customer satisfaction. We provide sweets from your favourite sweets shop. Are you wondering what type of sweets to purchase to surprise to your dear and near ones on their special occasion? Here we are to fulfil your wishes. Buy Sweets Online everything is possible with the online sweet shop. We will help you to make your dream come true and to make those special days a memorable day. Let it be the birthday, wedding anniversary, promotion day of your partner/colleague/best friend any sweet day in your life. We will help you to make your dream come true and to make those special days a memorable day. Let it be the birthday, wedding anniversary, promotion day of your partner/colleague/best friend any sweet day in your life.Sweets are procured from famous sweet shops like Sri Krishna sweets Coimbatore. Neeraj Agarwal, the sweet shop in Coimbatore is famous for North Indian sweets. we deliver Sweets and savories from Adyar Ananda Bhavan sweets also.Sri Krishna sweets is Famous for MYSOREPAK sweet. Agarwal sweet Palace in RS.puram is well known for Milk Sweets, Ghee Sweets, Dry Fruit Sweets, Bengali Sweets, Savouries, Chat, Petha Sweets, Milk Cake, Milk Peda, Home delivery of sweets is made simple thru Coimbatoregiftsflowers.com. 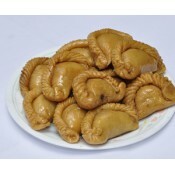 Mouth Watering Bengali Sweets is a perfect gift to your relatives/friends.Bengali sweets are a pride.. Delicious Bengali Sweets half kg to your kids/relatives/friends..
1/2 Kg Bhakarwadi Snacks is the suitable gift to all occasions. Bhakarwadi is a popular snack from M..
Tasty half Kh Bombay Karachi Halwa is a perfect gift to all occasions .If you are curious about the ..
1/2 Kg Bombay Mixture is an ideal gift to children for their snack items. Bombay mixture is a common..
Half Kg Chocolate Burfi is an ideal gift to your children.Tasting the coco with the milk in burfi te.. Mouth Watering Gulab Jamun half kg is a perfect gift for all occasions . Gulab jamun is a milk-solid.. 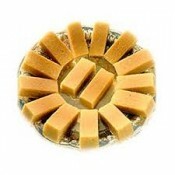 Delicious Kaju Flower half Kg is an ideal gift to your near n dear ones . Kaju flower is a flower sh.. Delicious Kaju Kathli 1/2 Kg to your friends/relatives, colleagues etc.Zero cholesterol with the Pri..
1/2 Kg delicious Karasev to your friends, relatives etc.Karasev is one of the south indian savoury. 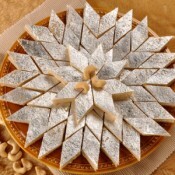 ..
Half Kg Mini Jangiri is an ideal gift to special occasions .Sweets with love!! A great feeling of fr..